to improve their computational skills through assisted self-study. Should You join the Coding Club? …aspiring to enrich your research by incorporating more computational biology? …eager to make your life easier and save time by automating repetitive work? 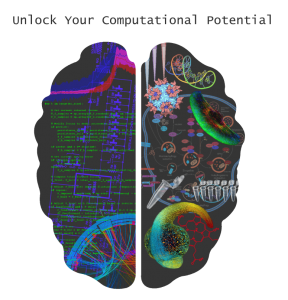 …looking to improve your ability to communicate and collaborate with computational biologists? The best and only way of achieving these goals is regular and proactive engagement with coding and computational biology through courses and, more importantly, through self-study. Unfortunately, our challenging day-to-day work often disencourages us from sitting down for a couple of hours to expand our horizon. For this exact reason, the coding club exists: it is an incentive for us to take two hours out of our work to exercise our coding skills and develop ourselves into better scientists. If that sounds like a good idea to you, join us by signing up to the mailing list! What is the Coding Club? The EMBL Coding Club is an initiative to support the continued study and practice of computational biology by EMBL researchers of all backgrounds, especially those with limited programming experience. In their original format, club meetings provided attendees with a calm and productive environment in which to study and work, setting their own pace and choosing their own topics to explore. Experienced volunteers acted as tutors, offering guidance and help as needed. At the start of 2018, we decided to try something new with the format of the meetings: series of themed sessions focussing on learning a particular skill/tool/library, or working together on a particular project. The first of these series, on D3.js, began at the end of January 2018. For this series, the sessions were shortened to a single hour. We are always on the lookout for suggestions of other topics/projects for the club – post these ideas as Issues on the Coding Club 2.0 GitLab repository (access requires an EMBL login). A curated database of tutorials provides an overview of available resources for learning about and practicing various aspects of computational biology. Toby’s CCD3 repo (internally visible) contains his notes and files relating to the D3.js sessions. Simply enter your email address into this form. This is not a registration in the strict sense; although regular attendance is highly recommended to ensure continuous progress of your studies, attendance is not monitored in any way. We are always looking to expand our database of tutorials. If you come across a nice tutorial that is not in the database, please contribute it by filling this form! If you are an experienced coder and/or computational biologist and you’d like to share your knowledge, you are very welcome to join the team of Coding Club tutors! Just write an email to jonas.hartmann@embl.de or toby.hodges@embl.de.